WSUU is a welcoming community. We look forward to your visit! Each Sunday service begins at 10:30 am with the sound of a large ancient temple bell. We use it to settle in for what can be a lively, contemplative, humorous, evocative and spiritual growth experience each Sunday. The Six Sources and the Seven Principles are a primary source of our interpretation of what scriptures can mean from many religious and secular traditions. Our interim minister generally speaks three times each month and on other Sundays we have clergy and laypeople as guest speakers on a wide range of topics. Second Sunday Special Services are experimental creative and contemplative services. Read more below. Westside worship and music teams are experimenting this year with special creative, energetic, and contemplative services on the 2nd Sunday of each month. Praise Services are a Unitarian Universalist take on the forms of worship more commonly found in Pentecostal-based faith traditions (Evangelical, Pentecostal, and Black denominations) that feature music, testimony, meditation, and an emotional connection to our faith. Praise services are scheduled 4 times this year. Other models of experimental services will include Taizé services from French origins, creative takes on our order of service and contemplative services inspired by other faith traditions. Learn more about upcoming services and listen to past sermon podcasts. 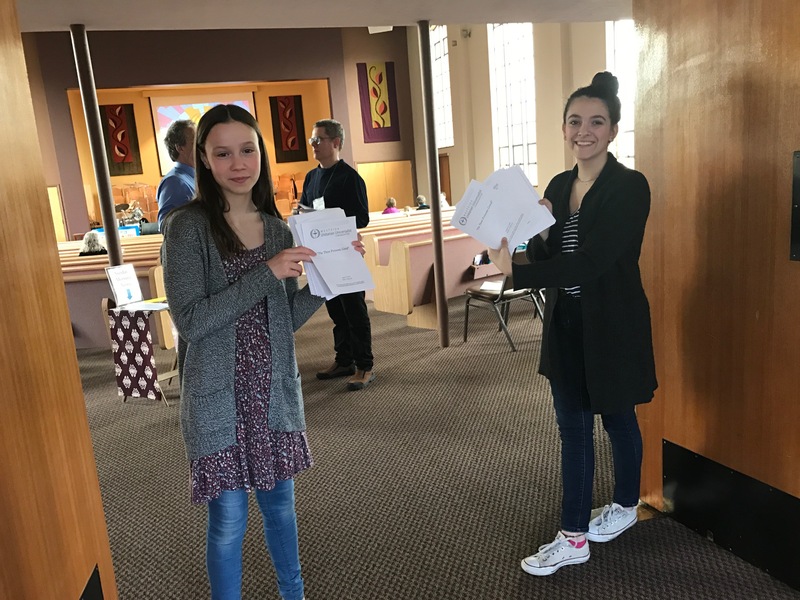 Members and visitors are invited to attend coffee hour in the church basement after services to enjoy coffee, tea and snacks along with casual conversations. We encourage you to stay for this time, and ask anyone any questions you wish. If you have children, we encourage you to come a little early, perhaps 10 a.m., so that we can orient you to our children's program and routines. Introduce yourself at the table in the church entry for assistance. On each Sunday, children begin with their parents in the Sunday Service. 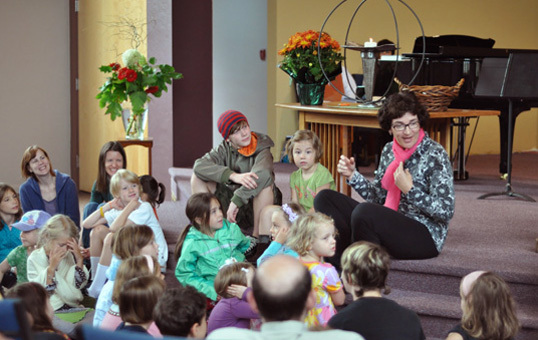 During the “Time for All Ages” children are invited to move up front to be close to the storyteller, and parents are welcome to come with them. After the story, we sing our children out as they walk through our arched arms and join their age appropriate groups downstairs. New children are welcome to participate in the classes, and parents can go with them if that is helpful to the children's adjustment. Infants are welcome to stay with their parents, though we do have infant and toddler care close to the Sunday Services sanctuary room. We also have a quiet room in the church balcony where parents can go with their little ones and listen through a speaker there. Is there a dress code? Dress is casual, jeans and a casual shirt are fine. Some people dress more formally, so you can too, if you want. Summers, you quite often find shorts. Where are you located? We are located at 7141 California Ave SW in West Seattle. Get directions. Where can I park? We have a small parking lot on California, just north of the building. We try to reserve spots here for people who cannot walk far. Street parking is plentiful on the surrounding streets of Orchard, Othello, California and Myrtle.